Art Outreach Gallery: 2014 Holiday Show! 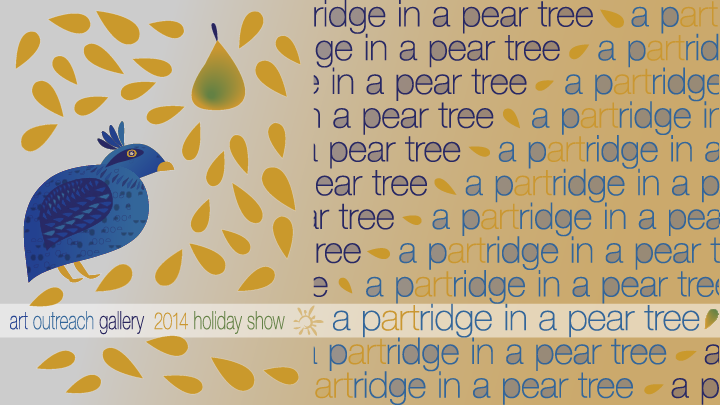 The Art Outreach Gallery's 2014 holiday art show, a pARTridge in a pear tree, features works in painting, drawing, photography, collage, mixed media and fused glass from 18 local artists! It runs from Friday, December 5 thru Sunday, January 4. Most of the works in this collection are for sale directly from the artists (a show list with artist contact information is posted at gallery). if you're at the mall, be sure to stop by to view this great show--and maybe purchase a gift that will be cherished for years!